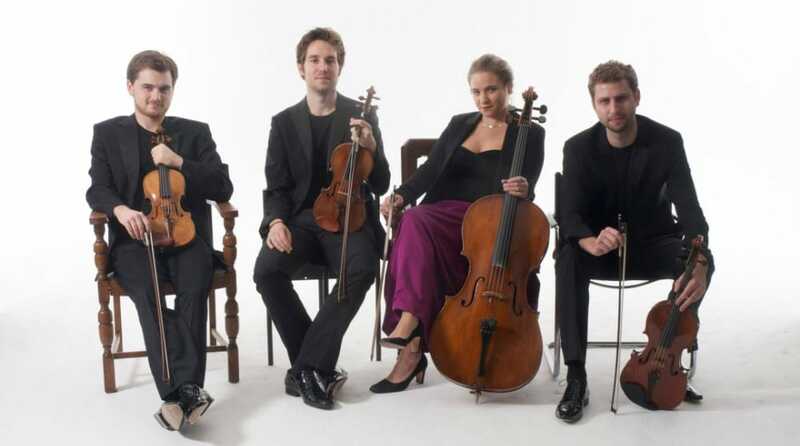 Prizewinners at the 2015 Wigmore Hall International String Quartet Competition, the Piatti Quartet is amongst the UK’s foremost young ensembles with a host of awards and critically-acclaimed recordings to its name. They have performed in all the major venues around the country, including a live BBC Radio 3 broadcast from the Wigmore Hall. The Quartet has also appeared in concerts throughout the world, with national broadcasts on ABC (Australia), RTE (Ireland) radio and France Musique (France). The Piatti are laureates of the St Martin in the Fields Competition, a Martin Musical Fund/Philharmonia Scholarship, multiple Hattori Foundation awards, and the St.Peter’s Prize. At the 2015 Wigmore Hall International (formerly the London International) String Quartet Competition, the Piatti Quartet won joint 2nd Prize as well as the Sidney Griller Award for the best performance of Mark-Anthony Turnage’s Contusion and the St Lawrence String Quartet Prize. 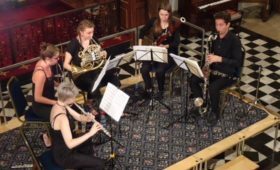 The Quartet spent two years as Leverhulme Fellows at the Royal Academy of Music and have received both Tunnel Trust and Countess of Munster awards. Park Lane Group have also supported the group extensively with a UK-wide concert tour and a recording on their Classical Label. Other recordings have been released on the Linn Records and Champs Hill labels, including the Piatti’s lauded contribution to the complete string quartet works of Felix Mendelssohn (Champs Hill), which was BBC Music Magazine’s Critic’s Choice (September 2014). The Piatti Quartet are delighted to have been reappointed as the 2015-2016 Richard Carne Junior Fellows in String Quartet at Trinity Laban Conservatoire of Music and Dance. The group continues to actively expand the quartet repertoire with premieres of commissions from several acclaimed British composers. A major new work, Joseph Phibbs’ String Quartet No.1, was commissioned through the generous support of the Britten Pears Foundation and Ralph Vaughan Williams Trust which the quartet have plans to record and release in 2016. Other recently commissioned compositions include pieces from Richard Birchall (performed live on BBC Radio 3), and Fintan O’Hare. The Quartet also works regularly with the CAVATINA Chamber Music Trust, enjoying the opportunity to help secure the future of chamber music by bringing the wonders of the String Quartet to young children and their families in schools and halls around the country. The quartets most recent season has included a summer residency at the Academie du Festival d’Aix-en-Provence, a debut in Istanbul, tours of Scotland and Ireland, a new CD recorded at the Jacqueline du Pre Music Building, Oxford (generously supported by Tony Stuart), and Resident Quartet at the 2014 Rye Arts Festival. Recent collaborations include concerts with Michael Collins, Moray Welsh, and Rebecca Gilliver. Upcoming highlights include a performance of Mendelssohns Octet with the Belcea Quartet, a tour to the Netherlands, and our debut concert in Barcelona. 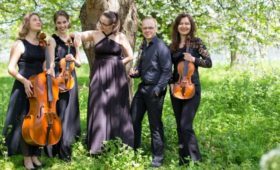 The Quartet is currently mentored by the Belcea Quartet through the Belcea Quartet Trust, as well as receiving regular coaching from Simon Tandree (ex-Doric Quartet). The group has also worked with members of the Chilingirian, Doric and Hagen Quartets and studied at the Reina Sofia Institute in Madrid with Günter Pichler. 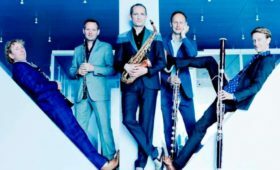 The group takes its name from the great 19th-century cellist Alfredo Piatti, who was a leading professor and exponent of quartet playing at the Royal Academy of Music.